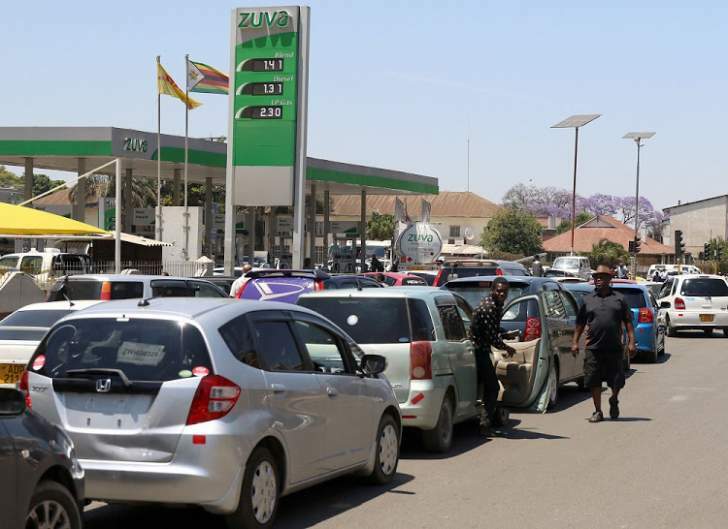 GOVERNMENT is taking advantage of fuel queues to pounce on vehicle owners who have failed to regularise their licenses, Transport minister Joel Biggie Matiza has said. Matiza told NewsDay yesterday that government would be deploying officers from the Vehicle Inspectorate Department (VID) to flush out unregistered vehicles. "People were given a deadline and those that complied have no reason to be scared. We are after those that have failed to regularise their licenses as required by the law. Beginning today (yesterday), we will have officers inspecting all fuel queues to check vehicle registration and related issues," he said. Government, according to officials, is already in the process of deregistering over 130 000 vehicles whose owners have defaulted in paying licence fees over the last two years to July this year. Fuel shortages have triggered snaking queues across the country as motorists spend hours on end waiting for deliveries of the precious liquid. Government has, however, blamed hoarding for the shortages. Matiza said some of the cars targeted for deregistration were being used for hoarding fuel. "The latest move will also help us deal with those using unregistered vehicles as conduits to hoard fuel for resale on the black market," he said. Matiza said his ministry was working on robust implementation of the Zimbabwe Integrated Transport Management System (Zimtis). "Technology is the way to go, and for us, it's work in progress. The idea of having to trail every car, which at times results in anarchy, will end soon. We are working on Zimtis, and all our key departments, including from sister ministries, are working on this. Zimtis brings together key departments like the Zimbabwe National Road Administration, Road Motor Transport, the police, VID and others in an integrated system that will help us deal with all this chaos," Matiza said. The chaos on the country's roads has been blamed for many fatalities caused by vehicles that are not roadworth as well as by unregistered cars and unlicensed drivers. There has also been a marked increase in the chaos following the withdrawal of traffic police in the wake of Operation Restore Legacy in November last year.